Any good wedding planner will tell you that your big day needs a color scheme. This will allow everything to look uniform and will create a sense of aesthetically pleasing visual continuity throughout the whole event. It is advised that you keep the scheme down to two main colors: a neutral tone like cream or white (generally matching the color of your dress) and one other tone. If you like warm tones, you might like to consider a shade of pink. You and your guests will truly see your wedding day through rose tinted spectacles! You could get prepared early on by giving a hint towards the color scheme with your invitations. Choose a pink card or white card with pink font. This will give your guests a little taste of what’s to come. Who said that your engagement ring needs to be a clear diamond? Consider a pink diamond wedding ring. Not only will this make your ring a talking point amongst your friends and family, but it will also ensure that you have a unique adornment on your left hand always. What’s more? There’s a shade of pink to compliment every skin tone, so you’re bound to find a stone that will suit you down to a tee. Again, there’s a shade of pink to suit everybody, which will mean your bridesmaids are likely to be more than happy in a pretty pink dress. Alternatively, for a more subtle look, have neutrally toned dresses with pink accessories. Think shoes, handbags or hair accessories. Arrive at your wedding in style. There are endless classic cars out there, but try your hand at finding a pink one. It will be a truly unique touch for your special day. 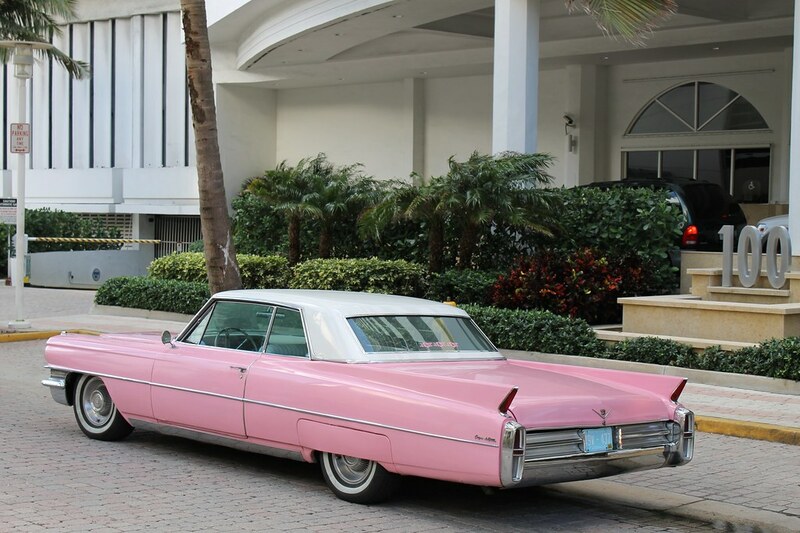 Pink Cadillacs and Chevrolets are adorable. For a more alternative touch, source a pink classic VW camper van. This would be especially brilliant for a summer wedding. Pink roses make a beautiful bouquet to walk down the aisle with. But roses aren’t the only option. There are plenty of other pink arrangements out there to choose from: pink germini, alstroemeria, and lisianthus are all beautiful flowers. You can also use these to decorate the venue and as table center pieces. You could also consider scattering pink rose petals like confetti across the tables for your reception. This is a lovely alternative to plastic confetti pieces. Not only is it more environmentally friendly, but it will give the venue a fresh scent. Don’t forget to give the flower child a basketful to scatter down the aisle. A completely plain white wedding cake can appear a little bland. Now, we’re not saying to go for a complete pink edible number. But you might like to consider a touch of pink decoration. 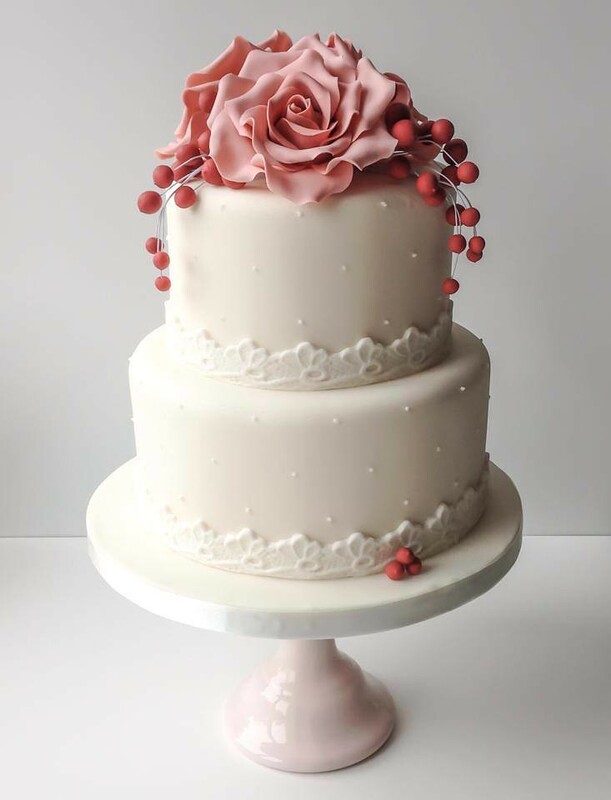 Whether that’s a little rose colored piping around the edges of each tier or more elaborate thin baby pink icing across the top or body of the cake. This will brighten things up a bit and also taste delicious.